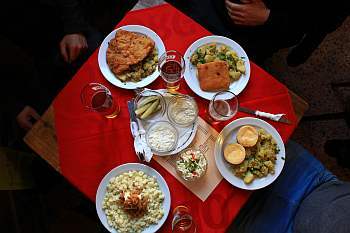 Why to visit Bratislava with us? Our tours in Bratislava go beyond the ordinary under the skin of local urbanism, architecture and social life. Bratislava is the city where we were born and have lived our lives since. It is an exciting city, if you take a look under the cover. We love its hidden corners and prefer going off-the-beaten-track. If you also feel like leaving the tourist crowds in the Old town, join our tour to explore authentic places of Bratislava facing its post-communist past. Bratislava is a thriving city in transformation. Former multicultural Preßburg/Pozsony/Prešporok has become "Bratislava" in 1919 looking up to Prague, experiencing unprecedented growth during communism in Czechoslovakia and open to capitalism today. 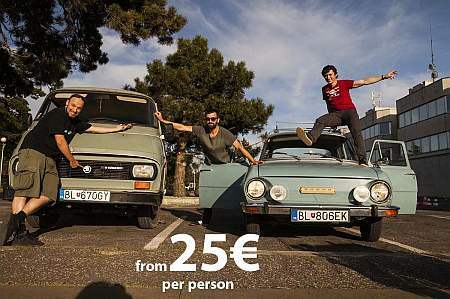 Explore the Iron Curtain area of Bratislava, WWII bunkers and bike along the Danube. 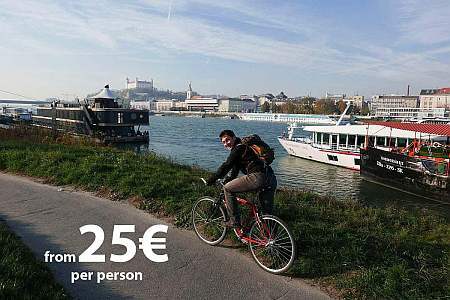 Bicycle tour for anyone who feels like exploring off-the-beaten-track places in Bratislava and its outskirts. Easy route avoiding hills, 14 kilometres long.